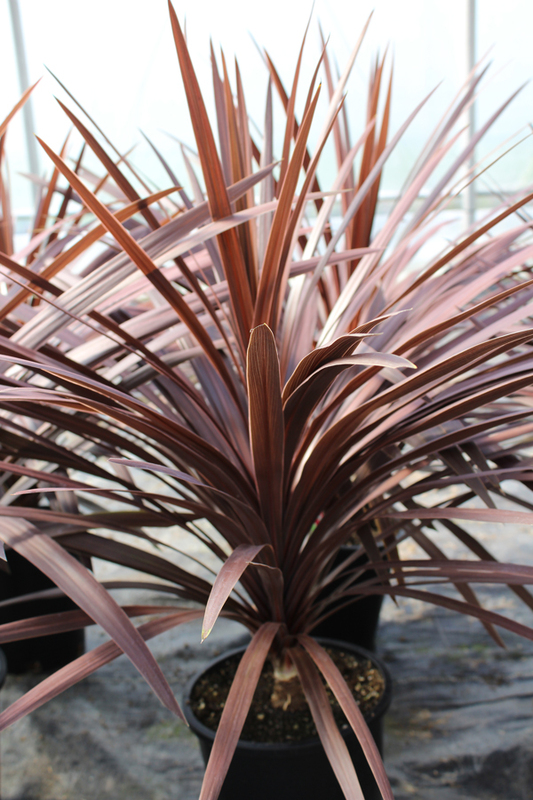 Cordyline, also known as “Ti” or the “King of Foliage”, come in many colours or combinations of colours includinggreen, orange, pink, purple, red, yellow, cream and white. 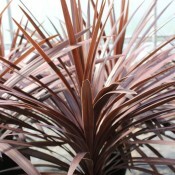 Because of their versatility and foliage interest, Cordyline is prized by many gardeners. They are upright and sturdy plants that can tolerate various light levels. Some species prefer almost full sun to show their best colours. For optimal growth, they require regular watering, but once established they can tolerate dry spells. They make gorgeous combination planters or an upright focal point in the landscape. Where temperatures fall below 15°F or 9°C, Cordyline should be grown as an annual. This exceptional plant provides a mixture of structure, colour and tropical flair with its long dark burgundy red-purple blades. It adds height and texture in landscape, patio and container plantings.